After a couple of years with Timeshift in Linux Mint, I feel I'm forced to point out that "Systemback" works better. We have systemback in the repos, too. Timeshift 18.9 has been moved to main, and we now have the latest 19.01 in the test repo. 19.01 installed fine here and runs as expected, no issues to report. However, I just used it to make a snapshot and not to restore from one. 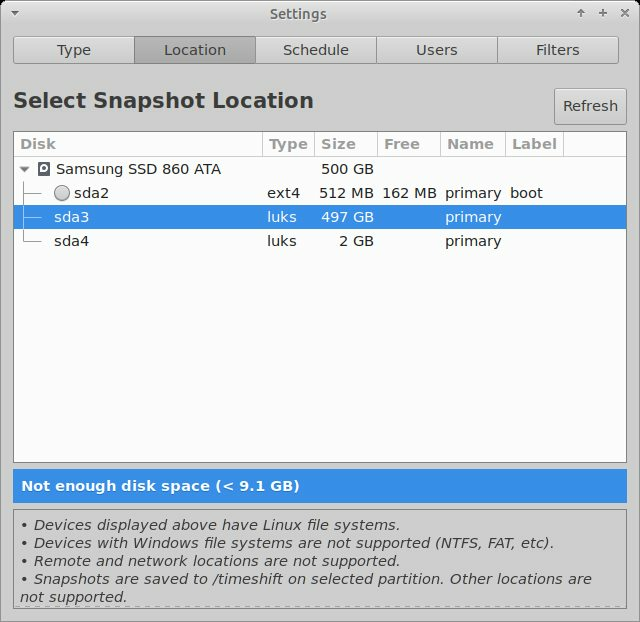 Neither 18.9 or 19.01 are able to select my encrypted root for a snapshot. I used the full disk encryption during install. Guessing I am missing something, but has anyone else run across this also?